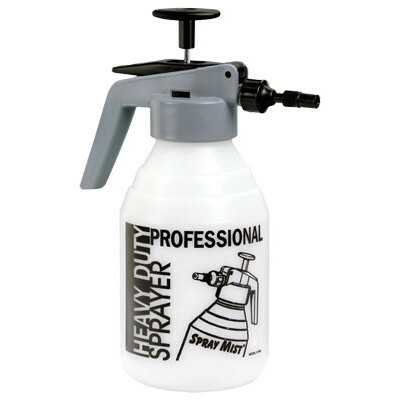 Tolco's 2 quart, 64 oz., Model 942 Pump-Up Spray Mist sprayer was the first industrial grade pressure sprayer. Since its introduction in 1977, many companies have attempted to copy the Model 942, but none have successfully come close. When you compare the features of this superior product with other pump-up sprayers, you'll see that the quality to price ratio of this model wins hands down. Please feel free to compare the features of our most popular pump-up chemical sprayers to see how much value this sprayer brings to the table. Customers who were interested in the 2 Quart Pump-Up Chemical Sprayer were also interested in the following items. Seems to be well built but it has a real weak spray. In other words it doesn't spray far enough. Thank you. This is a review for the 2 Quart Pump-Up Chemical Sprayer.